The Fifth Circuit Court of Appeals ruled in April 2018 that the Department of Labor (DOL) exceeded its authority with the release of the fiduciary investment advice regulations and it vacated the regulations. The DOL released a Field Assistance Bulletin on May 7, 2018, announcing a non-enforcement policy. The DOL will not pursue claims against investment advice fiduciaries until other future guidance would be issued. 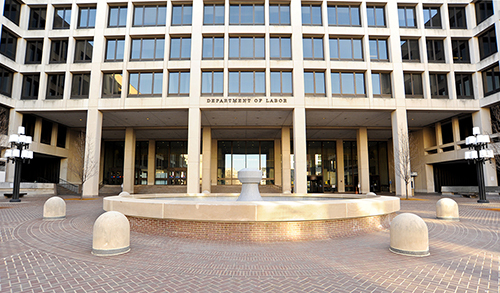 The financial industry has been hearing about the Department of Labor (DOL) fiduciary rule for several years. More formally known as the “conflict-of-interest” rule, the regulation is designed to ensure that investment advice about certain tax-advantaged savings account assets is in the best interest of the investor. Specifically, the DOL included IRAs, health savings accounts (HSAs), and Coverdell education savings accounts (ESAs) within the scope of the rules. While some aspects of the rule will not apply until mid-2019, the rules generally became effective in 2017. Some financial organizations may still be in the process of determining exactly what this means for their businesses and clients. If they haven’t already, however, financial organizations should fully evaluate how the rules affect their products and services. The final rule defines when certain individuals and businesses become fiduciaries by providing investment advice for a direct or indirect fee. In effect, the rule aims to increase the number of fiduciaries by broadening the term “investment advice.” The final rule generally defines investment advice as follows. A recommendation to buy, sell, hold, or exchange investments or a recommendation on how to invest assets that are rolled over, transferred, or distributed from a retirement plan or IRA. A recommendation regarding the management of retirement plan or IRA assets (e.g., investment strategies) or a recommendation regarding rollovers, transfers, or distributions from a retirement plan or IRA—including whether, in what amount, in what form, and to what destination a rollover, transfer, or distribution should be made. Why are IRAs and certain other accounts covered by the final rule? Considering the definition of investment advice provided above, it seems logical that HSAs and ESAs would be unaffected by the final rule. But asserting its authority to issue guidance under IRC Sec. 4975, the DOL pulled HSAs and ESAs into the fiduciary rule through the prohibited transaction rules. Although HSAs generally hold fewer assets and may exist for shorter durations than IRAs, they are subject to the same prohibited transaction rules. The DOL believes that HSA and ESA owners are entitled to receive the same protections as IRA owners since the accounts are similar in some respects (e.g., they are given tax preferences and often have associated investment accounts). What is the significance for IRA, HSA and ESA providers? Many consider investment accounts to be accounts holding investment property such as mutual funds, stocks, bonds, or other securities. But the DOL final rule clarifies that the term “investment property” includes certificates of deposit and similar investment products. As a result, depository organizations (e.g., banks and credit unions) must carefully consider the details of the final rule and how it will affect their policies and procedures. IRA and HSA providers that become fiduciaries under the final rule generally will be subject to its compliance requirements. If an exemption does not apply, certain arrangements will result in prohibited transactions. The key to determining whether investment advice is given is whether a recommendation occurs. As defined in the final rule, a recommendation is a communication that “would be reasonably viewed as a suggestion” to take a particular course of action or to refrain from doing so. The more the advice is tailored to the recipient, the more likely it will be viewed as a recommendation. Under the final rule, providers can make available investment education materials (e.g., certain plan information, asset allocation models, interactive investment materials, and general financial, investment, and retirement information) without becoming fiduciaries if the materials generally do not identify specific investment alternatives or distributions options. General communications, such as newsletters, marketing materials, public presentations, investment reports, and nonpersonal information, are not considered recommendations giving rise to fiduciary status. Is the fiduciary rule delayed? The new fiduciary rule became effective June 9, 2017. Providing investment advice in exchange for direct or indirect compensation is a prohibited transaction, and requires a prohibited transaction exemption (PTE). give advice in the client’s best interest. But without explicitly saying so, Field Assistance Bulletin 2017-02 infers that the DOL will be generous in applying even these compliance standards during the period. It states that the agency will not punish fiduciaries who are working diligently and in good faith to comply with the fiduciary rule and exemptions, or treat those fiduciaries as being in violation of the fiduciary rule and exemptions. In addition, the DOL stated that it has worked with the Treasury Department and that the IRS, similarly, will not assess excise taxes for prohibited transactions under the final DOL regulations and exemptions in cases where the DOL’s temporary enforcement policy applies. However, this relief is based upon an expectation that fiduciaries are meeting the impartial conduct standards, and are working diligently and in good faith towards full compliance.